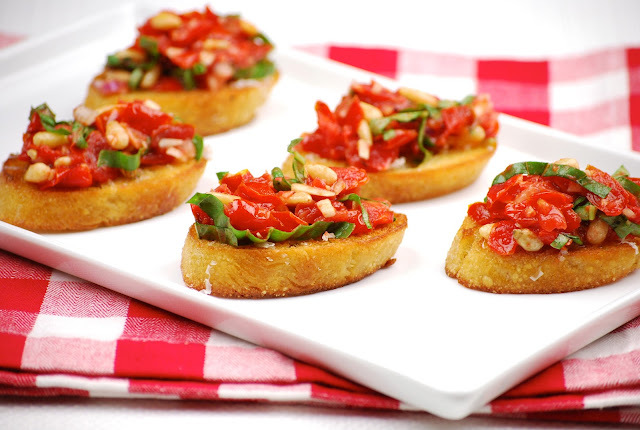 Love Bruschetta and this one is really special Karen! Frying your bread in butter? 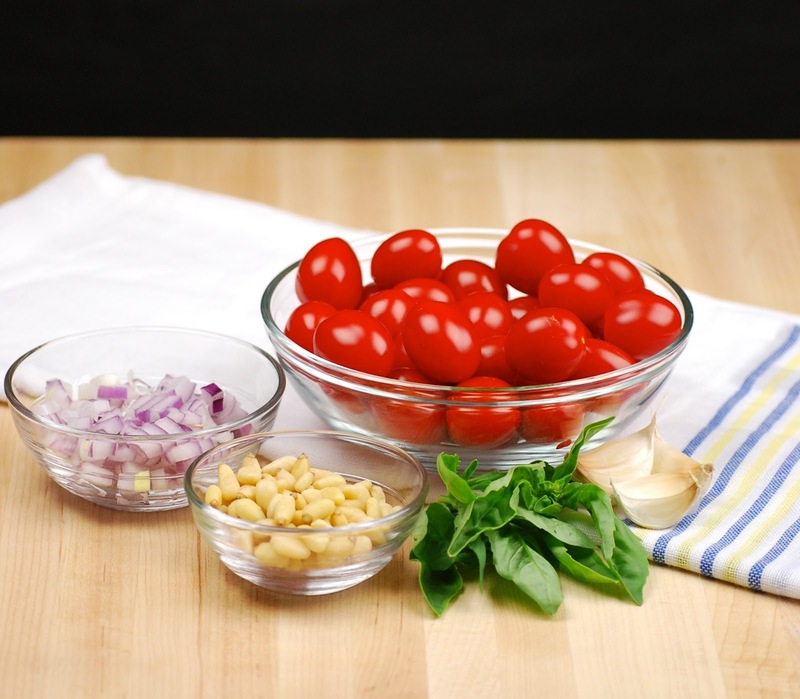 wow Adding pine nuts and of course the key in ingredients are fresh ripe tomatoes. I also had a few of those books filled with recipes. 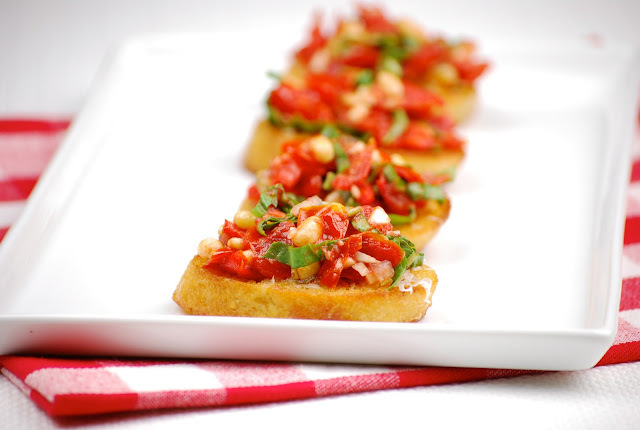 Oh I'm so excited to see tomatoes here;-) Your photos are lovely and I would love a bite of bruschetta, that would make me very happy! You had me at fried bread! 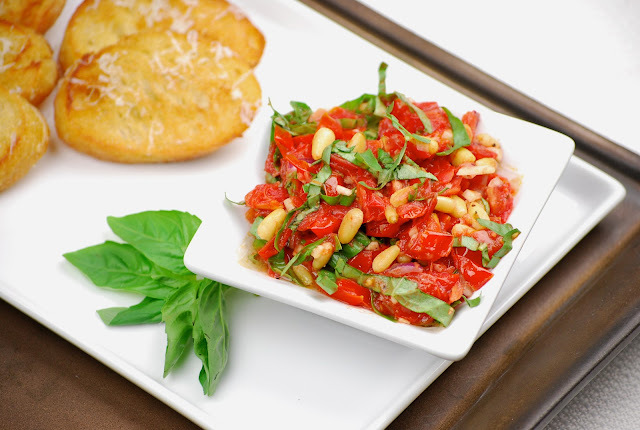 This appetizer is so delish and the simple ingredients make it all the better. I'll take the garlic breath! 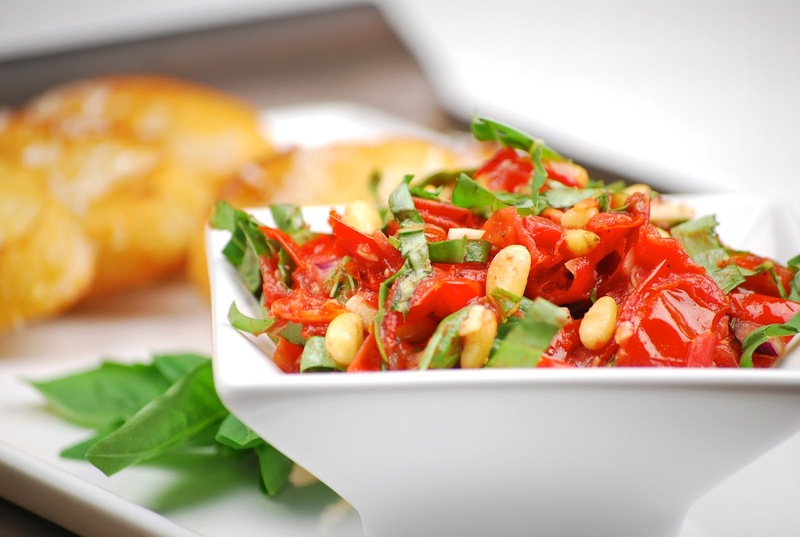 I can see why these are a favorite...pretty to look and full of flavor! I would love some of these with a nice glass of wine on a warm Texas afternoon!! 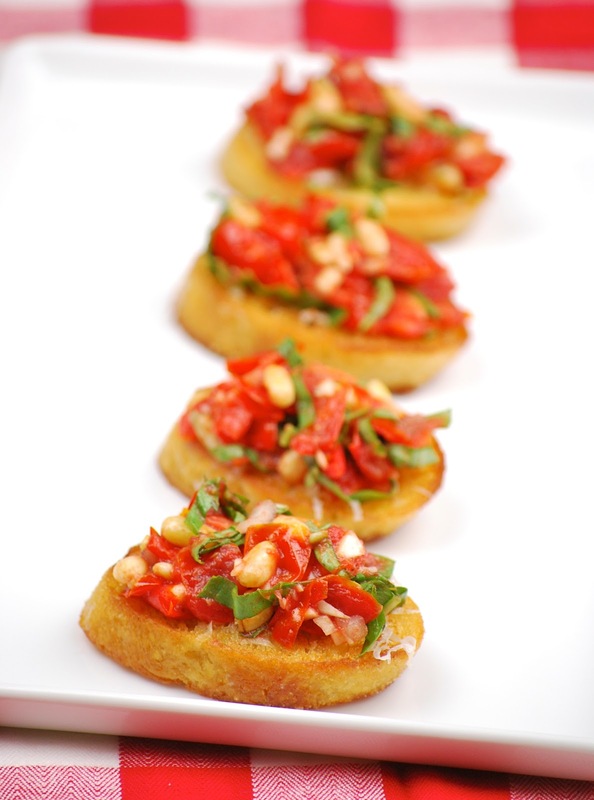 Bruschetta is one of my favorite things too. 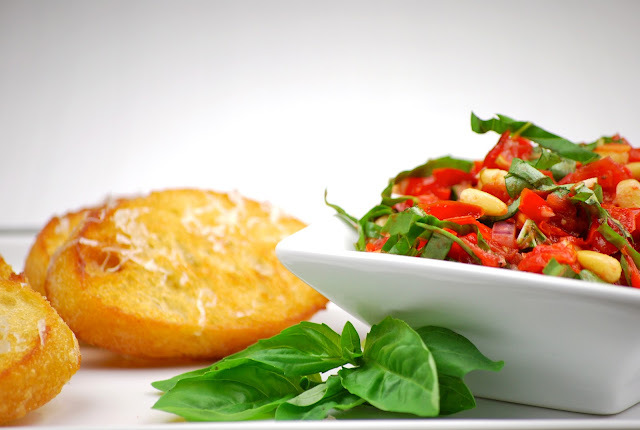 It is so easy to make, but so flavorful and pretty! Delicious looking bruschetta! I love how the bread is fried in butter - they must taste wonderful. Thank you for sharing your culinary knowledge with the world.